But he says that void has been slowly filled — partly thanks to meeting men and going on dates — but mainly because of his devoted fans who have helped him top the charts with his album, push millions of singles and sell out stadiums like Madison Square Garden. "I'm going on dates, here and there, meeting people," Smith said in a recent interview. "I'm not lonely anymore because of that, but obviously I would like someone next to me while I sleep." He added with a laugh: "But I'm working on that." Smith has become the year's breakthrough act thanks to his booming, soulful voice, playful demeanor and deep, honest lyrics that help break up the monotonous, dance heavy sound on pop radio. "In the Lonely Hour," his debut album released in June, has sold more than 772,969 units. His single "Stay With Me" peaked at No. 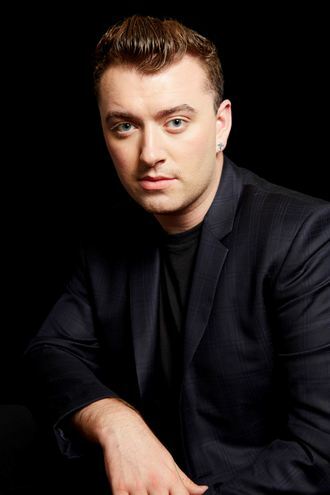 2 on the Billboard Hot 100 chart and sold over 3 million tracks; and other songs have built on his buzz, from another Top 10 hit and multi-platinum success, "Latch" with Disclosure, to the upbeat "La La La" with Naughty Boy to Smith's newest single, "I'm Not the Only One," which jumped to No. 11 this week. The 22-year-old has number of big-name fans — from Beyoncé to Mary J. Blige, with whom he's recorded. And he's been getting calls to collaborate with others. "I remember being ecstatic for having 200 Facebook likes. ...Now I take that completely for granted now that I have like a million. But I'm now thinking, 'I really would like two million,'" he said. "In the Lonely Hour" features pop grooves and ballads about love lapses and loneliness. The lyrics are brave and straightforward — Smith tells one man to leave his lover for him on one song, and one another he's open about being in love with someone who doesn't feel the same. And "Stay With Me" opens with the line: "Guess it's true, I'm not good at a one-night stand." "When I'm speaking about my insecurities ... that's when my music is the best. And that doesn't happen every day, so this writing process was quite dramatic and because I was trying to get these songs that were honest and brutal and real," said Smith, who co-wrote each of the songs. "I'm not a naturally sad person, so I was writing for a year and I wasn't sad every single day for a year, so that was tough." He said he believes the fans are resonating with his honesty. "The whole world knows my business now, I've got nothing else to hide ... and I think that people are respecting that," he said. Smith grew up in a small village in Cambridgeshire, England, and he decided to pursue music after his singing teacher told him he was good. He said he worked with dodgy managers as a teen, leading to false record deals and disappointments. But he persevered, eventually meeting the right producers to help him craft songs that speak from the heart. Smith said fans have told him intense stories about connecting to his music. He's also wants to be a voice for young gay men and women who look up to him. "It's so, so deeply important to me to be a spokesperson," Smith said. "I want to be, but not just for gay people, for straight people, for lesbians, transsexuals, anyone in the world. I want my music to relate to absolutely everyone." Sandy Alouete, VH1's senior vice president of talent and music programming, calls Smith a true artist. "There's no gimmick. Watching him on TV or hearing him on the radio, it's just a pure delivery in a pop world that tends to stray from that," she said. VH1 named Smith one of its "You Oughta Know" artists, and he will perform at the network's concert celebrating emerging musicians, which airs live Thursday at 9 p.m. EST. Alouete recalls attending a Smith show, and taking in the audience. "Anyone and everyone was on their feet, singing along — older couples on date nights, parents with their kids, gay, straight, you name it," she said. "That's the artist he is and that just happens once in a blue moon."